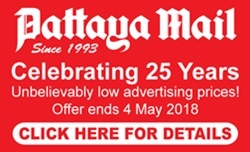 Unknown people have been haphazardly dumping garbage of all sorts in the area of Soi Kasetsin 5, Khao Pratamnak, making life miserable for local residents and garbage collectors. 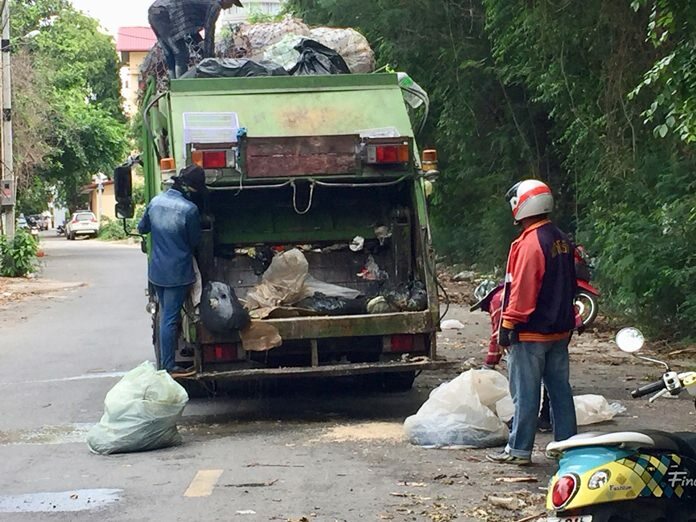 Residents living in the area of Soi Kasetsin 5, Khao Pratamnak complained to the media May 31, about foul-smelling garbage being dumped by the roadside in their community. They said that there were many empty plots of land in their neighborhood with only barbed wire fences surrounding them. Unknown people were haphazardly dumping garbage of all sorts over the fence, not caring that most of it was spilled onto the road. Most of the offensive garbage was rotten scraps of food stuffed into plastic bags which burst open, spattering the contents out onto the road causing quite a stink. Garbage collectors also complained that it was very difficult to gather the broken garbage bags which had their contents strewn all over the place. Residents guessed that nearby restaurants were sneaking into the area in the dead of night and dumping their food garbage there. They called on the authorities at city hall to seriously look into the matter and put a stop to these inconsiderate people who are breaking the law and causing the general public to suffer.